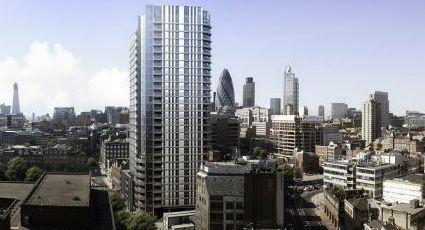 Aldgate is amongst a host of vibrant and fashionable districts such as Shoreditch and Hoxton that have been welcoming a new wave of urbanites in recent years and new developments upcoming in this area. The artsy Brick Lane is at the centre of this cultural explosion where you can best taste of Indian Asian food; visit the bustling market, absorb the lively atmosphere, and wine and dine in some of Londons coolest bars, less than a 10 minutes walk away from the building. 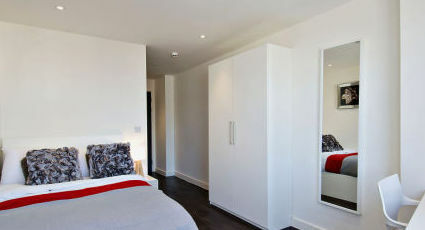 The location of these short stay apartments is ideal for guests eager to explore London or visiting on short business trip in City and live like a local, whilst maintaining uncomplicated access to the financial hub of the City.From this building, guests are only a short distance away from such London landmarks as London Bridge, Tower Bridge, the Gherkin and Canary Wharf. 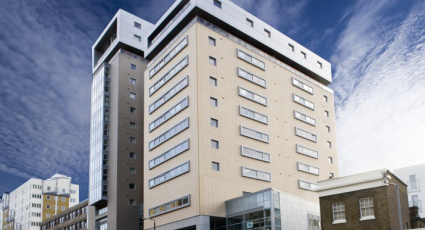 Aldgate is highly accessible via public transport; it is within walking distance of Liverpool Street and directly accessible via tube from Victoria, Kings Cross, Euston and Paddington stations.